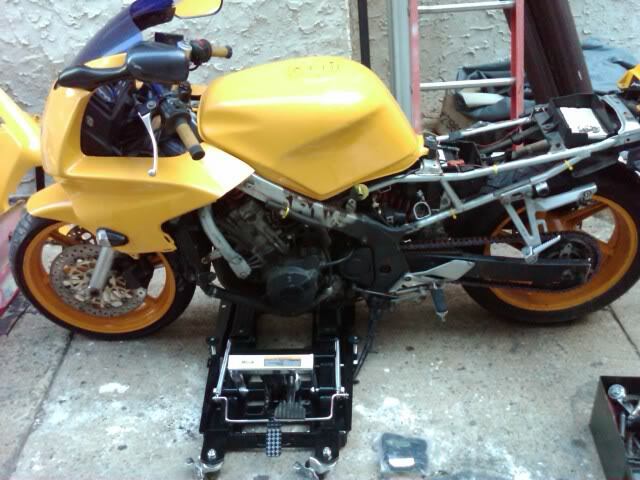 Needing to raise my new (to me) F3 and replace the swingarm, traditional bike stands wouldn't work. So here's what I'm trying. Rain slowed me down today so this will be ongoing. 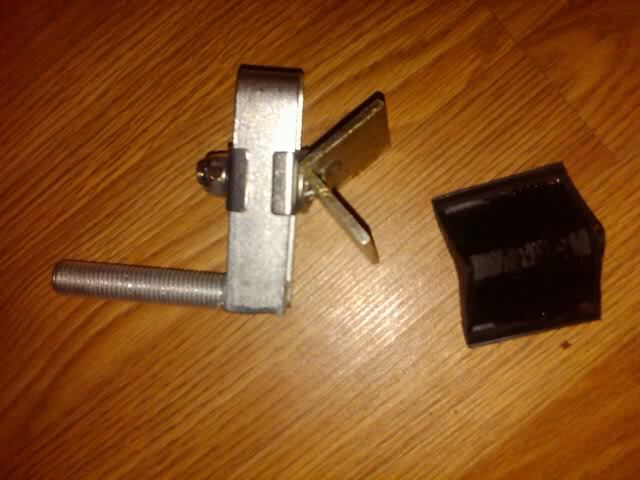 The jack comes "mostly" assembled requiring only installing the adapter and bottle jack it uses to lift the platform. If you're working on a motorcycle, you'll already own the tools needed for assembly: a small phillips head screwdriver (to attach the lift locking bars to the release pedal) and a couple crescent wrenches (to attach the lift pedal and adapter plates). My bike was lowered to fit a 5' 3" stripper (long story but she's a friend). Whoever lowered it bent the kickstand instead of finding a shorter one. So my bike is fairly low to the ground. The jack does indeed earn the "low profile" description as it easily slid under my bike... WITHOUT the adapter attached. The incoming rain storm didn't allow me enough time to get the bike lifted because I ran into a few snags with the adapter plate. the exoxy holding the cushions to the receivers is WEAK. That's straight out the box so they either didn't surviving shipping or failed right after QC (if any was done). Because my bike's frame is V shaped, it's going to take a minute to adjust those 'infinitely adjustable' receivers to solid points on the bike. 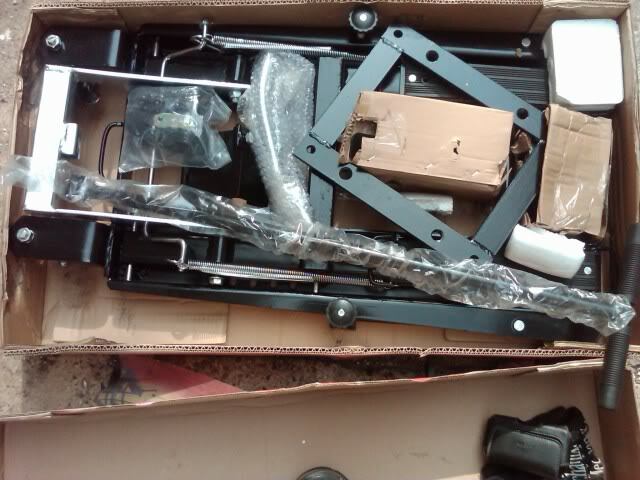 2 of the adapter receivers will connect with the bottom portion of the frame's V shape. But only place I can connect the other 2 to will be the exhaust pipes, which will mean I can't do any exhaust work using this jack. Which I have no plans of doing but another mechanic might. I'll update this thread after actual usage with more impressions. The jack has swing out adjustable height stabilizing arms which I'm interested in, as my driveway isn't exactly level. Also as I have an oil leak which seems to be related to the oil pan gasket, I'll have to see how high it'll go so I can access the oil pan. 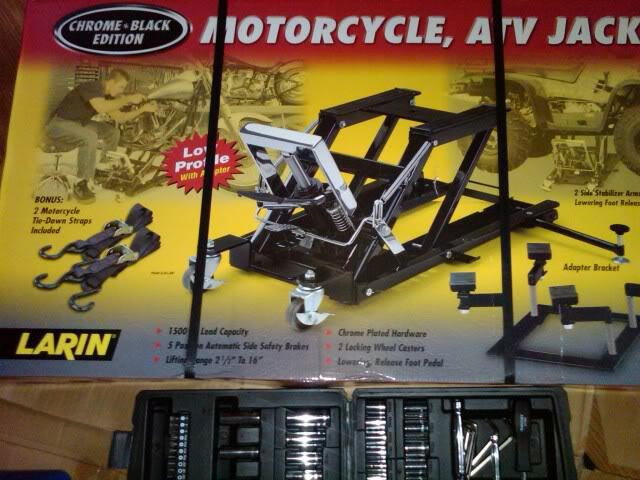 Motorcycle jack or front and rear jack stands?